This film describes how Malaria Consortium is working towards the elimination of malaria in Cambodia by 2025 on multiple fronts. It shows how we work to determine how cross-border surveillance can be adapted and better targeted to the difficult to reach populations in Cambodia, such as migrants, in order to fight drug resistance. We have been piloting an SMS project as a way of collaborating with the private sector (local pharmacies) to keep tabs on the numbers and movement of malaria cases and, at the same time, to improve referrals and integrate private patient data into the National Malaria Information System (MIS) in Cambodia. Currently, the SMS-technology is being used in other districts, while screening activities continue on the border with Laos where the highest numbers of resistant parasites have been found. 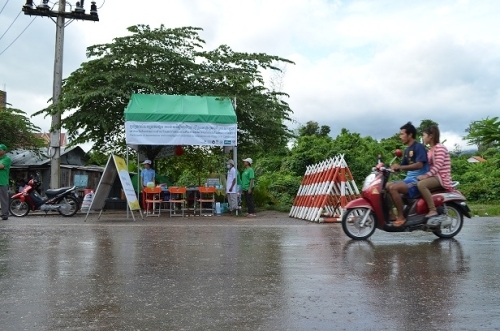 It is essential that governments, donors and practitioners come together to extend this vital work to other towns along the Thai and Lao borders with Cambodia.